My ancestor William Hallett was the male half of what I like to think of as a 17th century Super Couple. His experiences with Elizabeth Fones Winthrop Feake Hallett really are worthy of a movie, or at least a TV miniseries. But beyond that, in perhaps a greater claim to fame, William was actually the first European inhabitant of what is today known as Astoria, Queens, in Long Island, New York. His story is a complicated one to tell; but truly the 1600’s in New York was a complicated time period, yes? 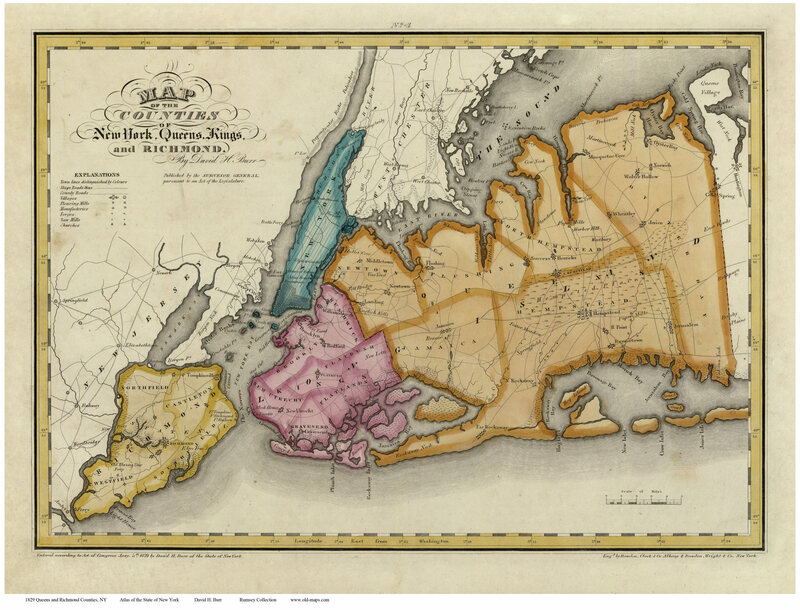 The area was wrested away from its original owners, the Indians (there were once 13 different tribes on Long Island), and was then controlled by the Dutch, and later the English. William and his family were caught up in the power struggle between all three, but amazingly, they survived the chaos of their time, and his descendants are living in Astoria to this day. William was born around 1615 in Bridport, Dorset County, England. There is no clear record of when he first arrived in the Massachusetts Bay Colony, although there are at least four theories. He may or may not have been a joiner’s apprentice as a young boy in Dorsetshire, but there is reasonable evidence to support the fact that his father Richard was a carpenter in Bridport. So much of Anya Seton’s wonderful novel, “The Winthrop Woman” has been put forth as fact that it’s difficult to discern truth from fiction, just by doing cursory research online. In putting the pieces of William’s story together I’ve given more weight to historical documents as much as possible, and also have enjoyed reading the historic non-fiction, “Insubordinate Spirit”, by Missy Wolfe. Another useful resource is the record of the section of Queens once known as Newtown that was written by James Riker in 1852. 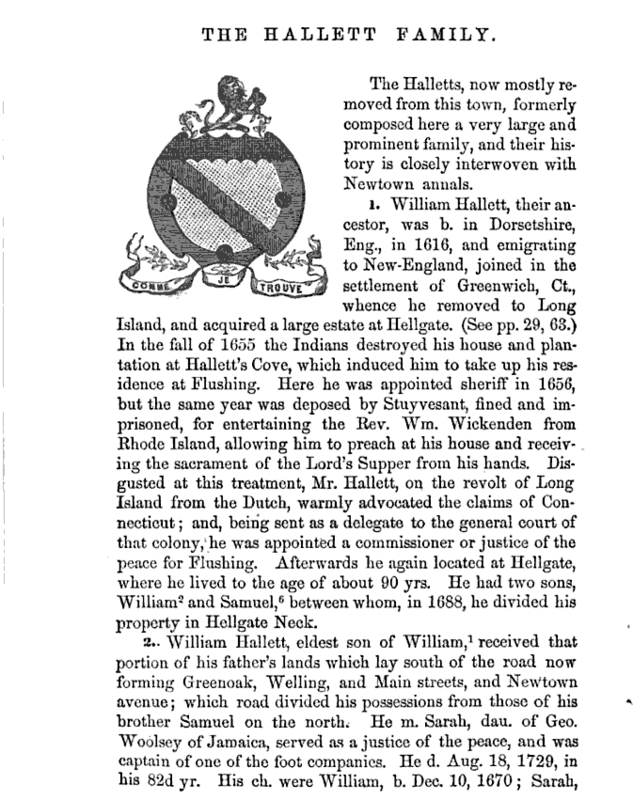 The book, titled “The Annals of Newtown, in Queens County, New York: Containing It’s History from It’s First Settlement…” is available online through Google, and is a fascinating read if you’re interested in the early history of Long Island. I would also like to acknowledge the excellent blog written by Will Hallett, an 11th generation descendant of William and Elizabeth. The latest William Hallett conducts painstaking family history research and does a great job of presenting the facts, along with the possibilities, when the facts simply aren’t known. 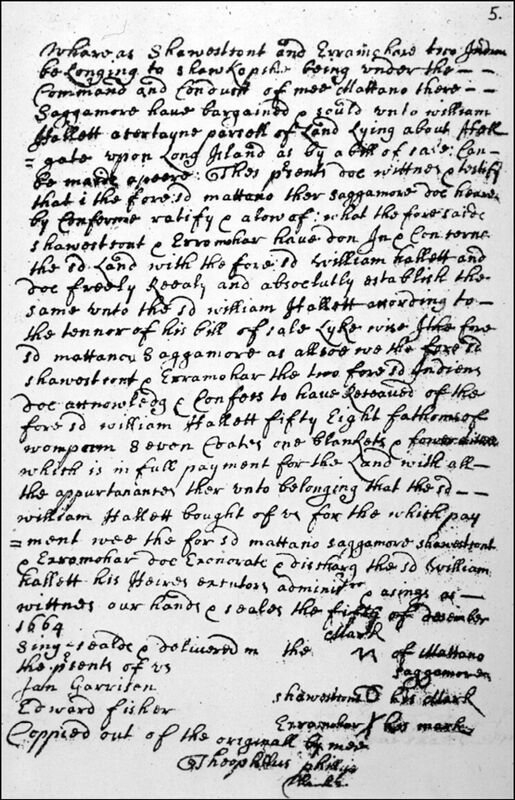 William arrives in Massachusetts Bay Colony sometime around 1638. By 1648 he is living in Connecticut as the dedicated partner of Elizabeth Fones. He and Elizabeth wish to marry, but Elizabeth is unable to obtain a legal divorce from her husband, Robert Feake, who had become insane and abandoned his family. The couple chooses to stay together and risk the death penalty for adultery, and continue to press for a legal union in the English territory of Connecticut. Eventually they are married in New Amsterdam, a more lenient Dutch settlement led by Peter Stuyvesant, and relocate there, giving their allegiance to the Dutch. William purchases property on Long Island. The property is on the western coastline, next to a turbulent stretch of the East River known as the Hellgate. The name “Hallett’s Cove” is also used to designate the area. In 1655 the Halletts’ home is destroyed by local Indians, and the Halletts temporarily relocate to Flushing. 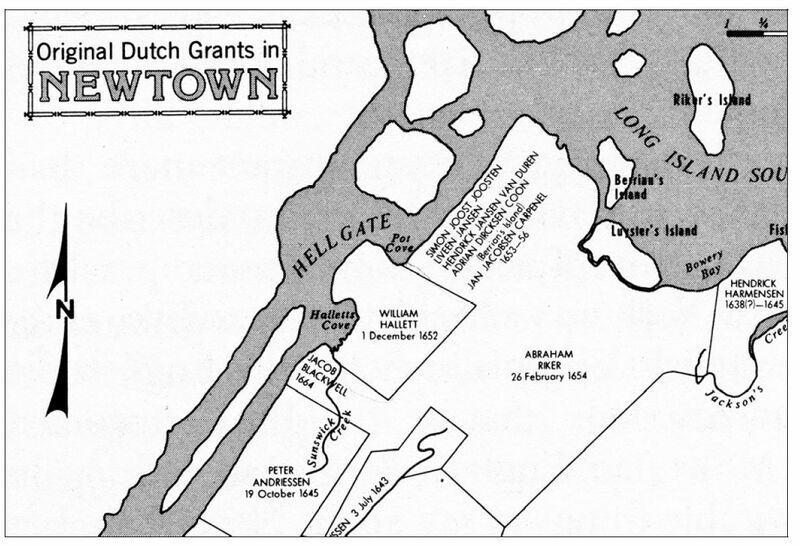 The Halletts fall out of favor with Stuyvesant, and realign themselves with the English, who by 1664 had gained control of New Amsterdam and renamed it New York. William returns to his property at Hellgate, where he lives until his death in 1705. His two sons, William and Samuel, become the founding fathers of the Astoria branch of the Hallett family. The name Hallett is still prominently seen in the neighborhood as we enter the 21st century. It’s really quite a tale, and my bullet list doesn’t do it justice. But this is a blog, not a book, and so you get the bullet list. Needless to say, the Halletts were resourceful people who could blend in and evolve as circumstances dictated – in other words, they were true New Yorkers in every sense, and I’m fascinated by them.